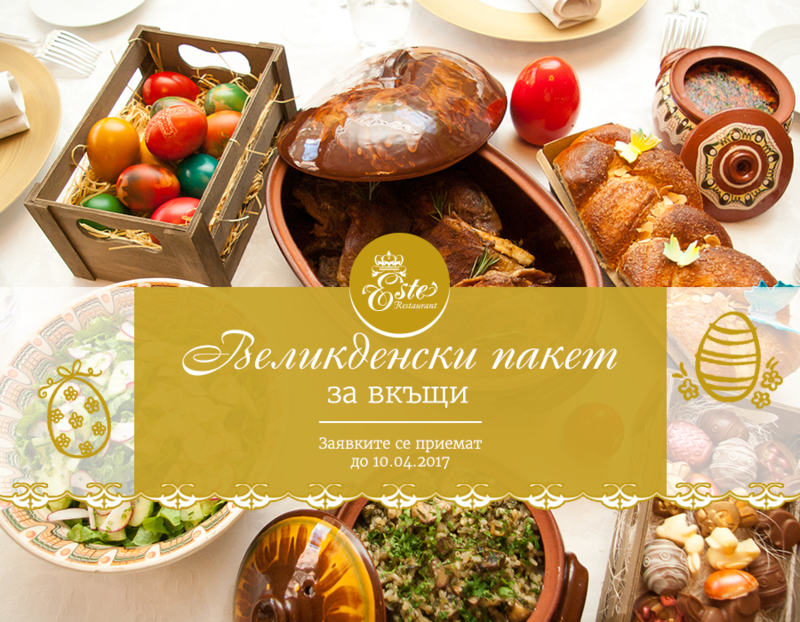 You want to celebrate Easter with the most delicious traditional dishes, but you don’t have the time or the means to prepare them? We offer the solution: Order our special Easter take away packs – they contain lamb, drob sarma, lettuce salad, boiled mutton soup, kozunak and of course, painted Ester eggs and will turn your festive meal into a true culinary fairy tale! 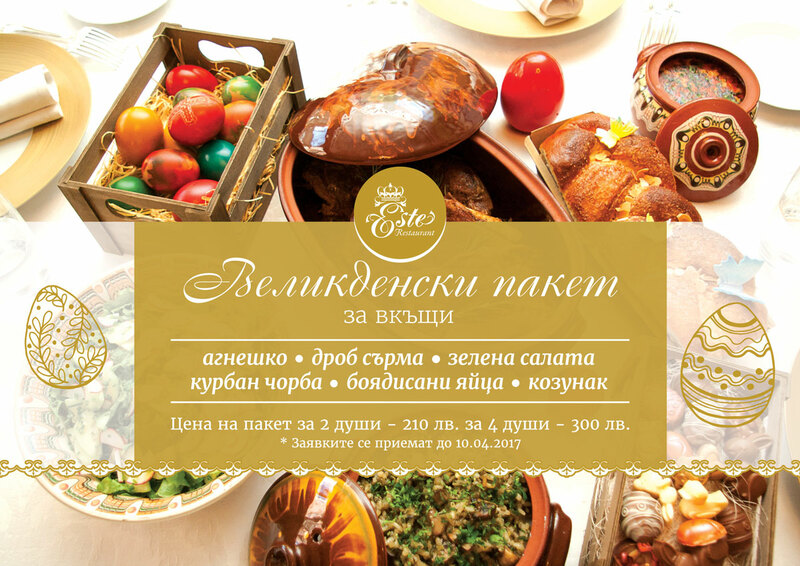 We will accept orders up to April 10, 2017 on 0886 700 269 and restaurant@este.bg!